The E.G.L. Platinum’s gemological laboratory is a prime establishment, serving the Israeli and the world diamond and gemstone industry for more than 40 years. Its name has become a synonym for professionalism, accuracy and integrity. EGL Platinum is the first ever EGL laboratory in Israel. EGL Platinum is licensed to issue genuine EGL Platinum certificates. The entire strict, unbiased process of grading and certification is carried out by EGL Platinum's team according to the EGL Platinum's principles. The EGL Platinum team includes highly skilled leading Israeli gemologists, all having graduated from world-renowned gemological institutes – GIA, EGL and GEM-A. 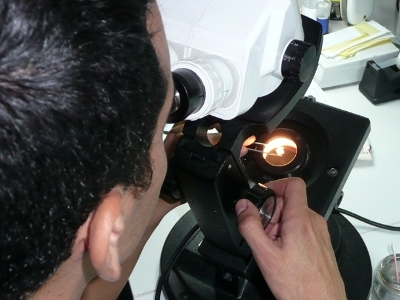 The gemological tests performed by the team are carried out using the most advanced equipment available. The team is directed and supervised by Menahem Sevdermish, FGA D.Litt., a world-leading gemologist and gem expert. 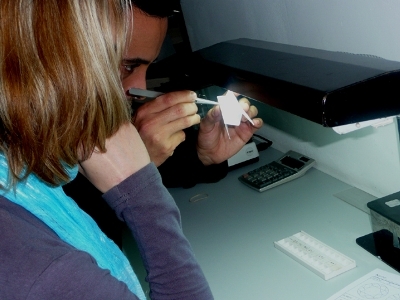 The laboratory's suite of services includes issuing official reports for diamond grading, gem identification and a colored diamond color analysis; offering consultations to support the gem trade; and conducting groundbreaking researches.